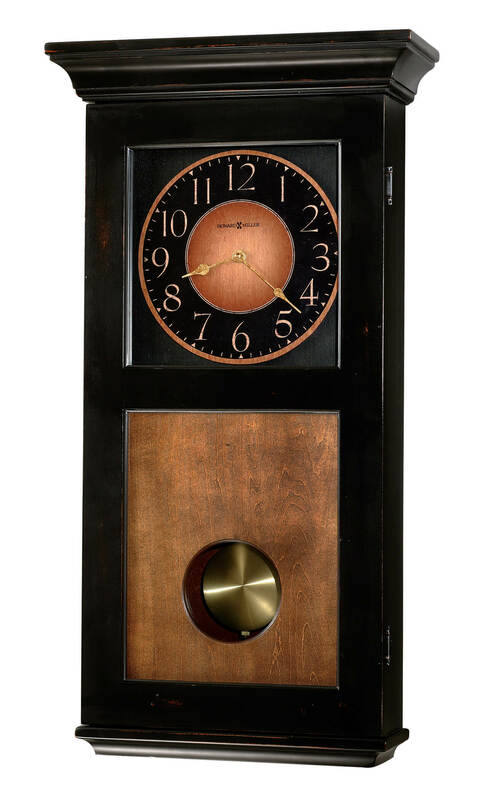 This wall clock is finished in Worn Black on select materials, hardwoods and veneers with brown accents and features Vintage Umber finished lower door panel, dial and back panel. The dial offers gold Arabic numerals on a brown and black background. 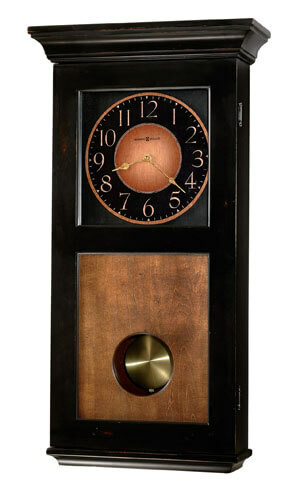 An antique brass-finished pendulum may be viewed through a glass window in the front panel. You will save $164.10 (30 %) on this Howard Miller Corbin 625-383.